The 19th was a double Fez-day. On the one hand, well, FRIDAY. 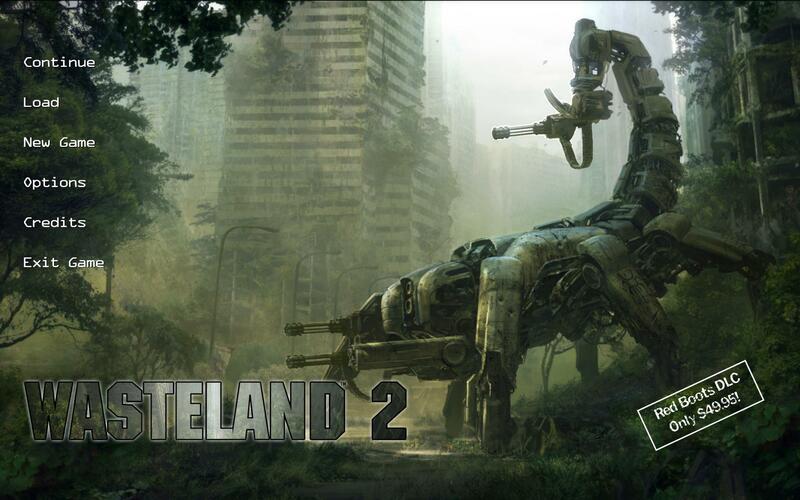 But also Wasteland 2 was finally released, two and half years after it was hit by the Kickstarter money-cannon. It was the first game I Kickstarted and I’ve been revving up on pure excitement as the release got closer. And now I have it! Installed! Wasteland 2! Is it brilliant? Is it? Is it brilliant? I didn’t play the original Wasteland when it was released though I was starting to get into CRPG’s on the Apple 2, PC and Amiga. Fallout however, is one of my top-3 favourite computer games of all time and Wasteland was its spiritual ‘father’. That and the unabashed description of wanting Wasteland 2 to be an ‘old-school’ CRPG was enough for me to start pressing my wallet against the monitor when the Kickstarter came up. The game itself is a party-based isometric RPG. You create four characters (although you can also take a pre-generated party but who would do THAT?!) 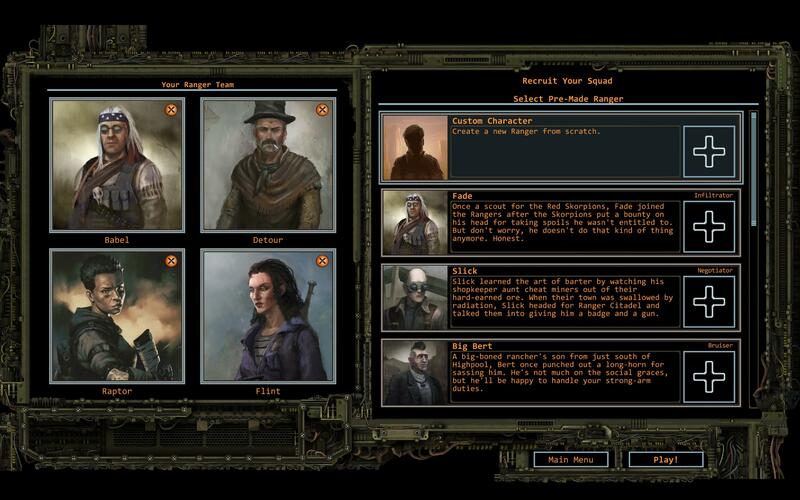 select from a bewildering array of skills and then send them bravely out into the post-apocalyptic Wasteland. Your intrepid foursome are Desert Rangers, a group dedicated to restoring some semblance of civilisation to the wilds. Throughout the game you’re sent on missions by the Rangers (via radio) and eventually have to investigate a wider threat to the world. And what a world it is; it’s realised with loads of detail. You can examine all sorts of objects throughout the world and they all have a line or two of descriptive text feeding you the atmosphere of the setting. Funny, sad, quirky and cool – the Wasteland itself makes you want to take your time exploring it. You can wander the world as much as you like (water supplies permitting) and there seem to be loads of secrets hidden out in the deep desert. The difficulty is pitched nicely for the setting too. I’m playing on one level harder than ‘average’ and you always feel death is just an unlucky bullet away. Medical supplies and ammunition are always in very short supply, making combat a fraught affair. So while you might scrape past a poorly executed fire-fight you’re likely to have used far more consumables than necessary which then knocks onto the next scrape you find yourself in. Combat itself is a large part of the game and is great fun. It’s turn-based and tactical with an action-point and initiative system. Your base Action Points are dependent on multiple stats (while speed is important, you also get some from intelligence and randomly from luck) and each skill has its own strengths and weaknesses. For example, sniper rifles are killer at range but their high Action Point cost and the penalties applied when a critter is right next to you means your best sniper needs a backup weapon or they can be useless. While Action Points are important (Do More!) your character also needs Initiative (Go Faster!) and Speed (Move More!) in a fight. Friendly-fire and your Ranger’s appalling accuracy at the start of the game ensure you need to think carefully about positioning. And because you’ve always got one eye on your supplies you’re constantly weighing up taking risks to save your limited ammo. But then if it all goes pear-shaped you’ll have to use a precious med-kit….. 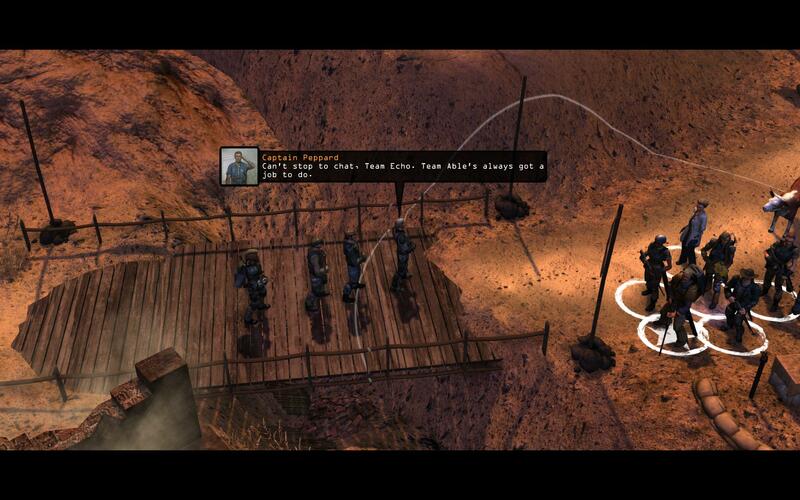 Wasteland 2 is brilliant. It’s old-school but not so you’re gritting your teeth while hissing “I’m enjoying this! Really!” as you soldier through an obtuse UI or incomprehensible graphics. It’s gorgeous, atmospheric and has loads of content tailored to your play-through (or so it seems).